A nightdress worn by an ‘X-Kid in the Patrick Stewart and Ian McKellan action movie X-Men 2. 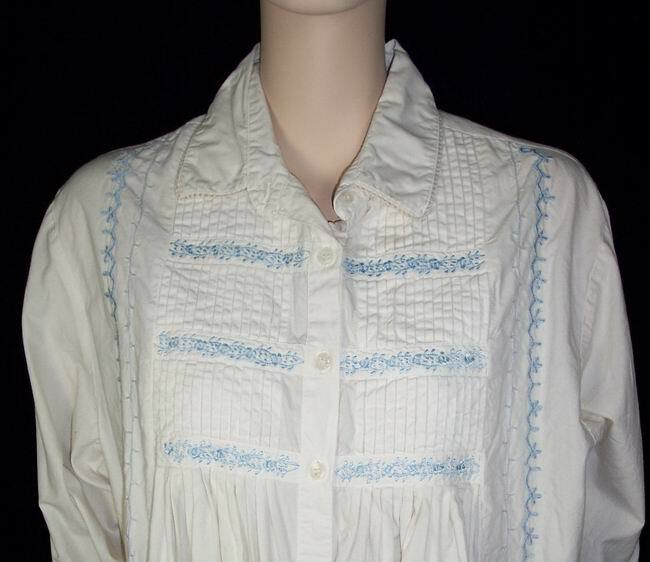 The white nightdress has blue embroidery at the top and is an adult sized small. 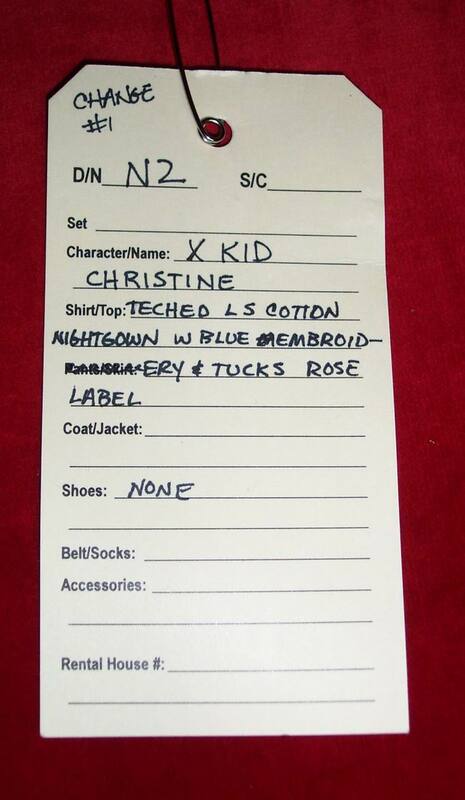 There is a costumers label with the costume details written on it and also another costumers label and a photo of another costume that the same character wore. The nightdress can be seen in the background at the X Mansion. Comes with a Fox COA.